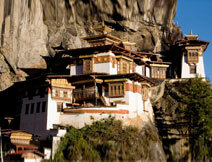 Bhutan culture tour is a perfect holiday destination for those who look for peace and seclusion during their holidays. Nestling in the heart of the great Himalaya, Bhutan is still untouched by modernization. Bhutan is often referred as the "Land of the Peaceful Dragon" and is still regarded as one of the last Shangri la in the Himalayan region. Towns are tiny, little more than villages, with quiet streets lined by decorative shops and houses. 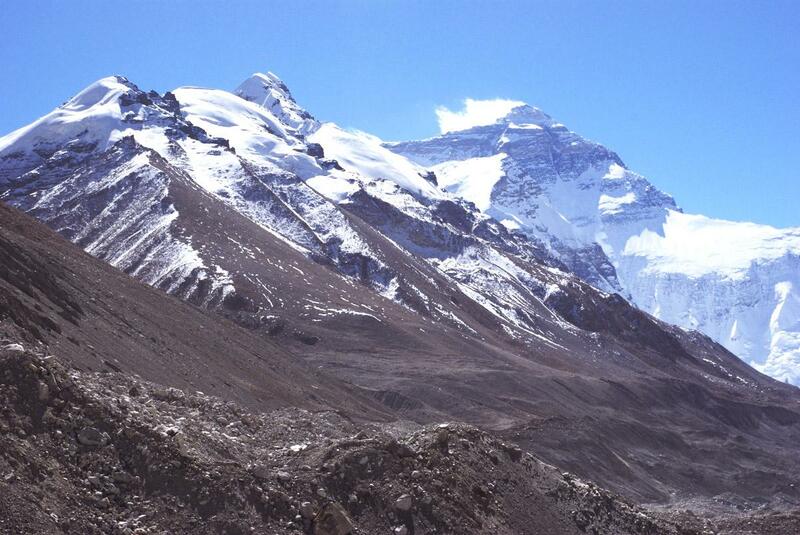 Himalayan Buddhism flourishes here, little changed by time, untouched by world events. Maintaining its own very special architectural traditions Bhutan's monastery-forts are incredible repositories of sacred texts and images, paintings and wall murals. Colorful prayer flags highlight natural and man-made features of the landscape, adorning houses and bridges; standing atop ridges and mountain passes and in forest clearings. Arrive in Kathmandu, welcomed by Corsa representative & transferred to hotel. After breakfast you will be transferred to Tribhuvan International Airport for the flight to Paro. After completing the visa formalities at the Paro airport you will be received by our Bhutan's representative and transferred to the hotel. While driving through the picturesque Paro valley with its quaint clusters of hamlets amid terraced paddy fields you will see by the sight of white-domed peak of the sacred Mt. Jhomolhari that looms overhead. The rest of the day is at leisure to explore the town of Paro and its markets. Today after having breakfast we drive to Thimphu which is the capital city of Bhutan. It lies at an elevation of 2300 m in a valley traversed by the Wang Chu River. This city maintains a strong national character in its architectural style. This morning we set out on a sightseeing tour of Thimphu. First of all, we visit the Tashichho Dzong on the bank of the river. It is the main Secretariat building which houses the throne room of His Majesty, the King of Bhutan and is also the summer residence of the central monk body. After visiting the Secretariat building we visit the national library to see the rare and precious collection of Buddhism. Today we also visit a painting school and the center of the traditional medicines. In the evening we visit the Memorial Chorten. Memorial Chorten is a Stupa and was built in the year 1974 in the memory of the late third king Jigme Dorji Wangchuk. The paintings and images inside the monument provide a rare sight into the Buddhist philosophy. In the morning we will visit the Rinpung Dzong. It was built in 1646 by Shabdrung Ngwang Namgyal, the first spiritual and temporal ruler of Bhutan. This fortress now houses the Paro monastic school and the office of the civil administration. We also visit the Ta Dzong. Looking down upon the Rinpung Dzong is the Ta Dzong which was built in 1651 as a watch tower. This Dzong is round more like parts of a European castle. In the evening we visit the Drugyal Dzong. It means the victorious fortress which was built in 1647 by Shabdrung to celebrate his victory over the Tibetan invaders. Strategically built over the only passage into the Paro valley, the Dzong helped to rebel various invasions through the course of Bhutanese history. After breakfast your Bhutan representative will transfer you to Paro airport for the flight to Kathmandu or any other destination.